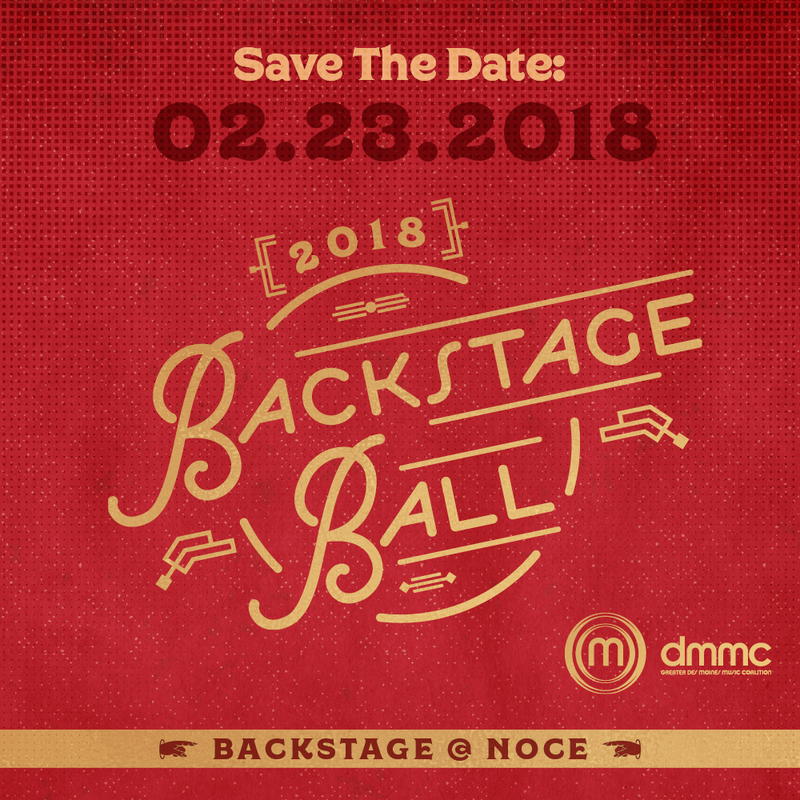 Mix and mingle with Des Moines’ creative movers, shakers, music lovers and makers at Backstage Ball, the Des Moines Music Coalition’s annual fundraiser and awards party! The all-access-themed evening will include drinks, hors d’oeuvres, a silent auction, a chance to put your hands together for our deserving honorees, and, of course, great live music. Snag your tickets online or purchase at Mars Cafe (University or East Village)! The evening’s soundtrack will be provided by DJ Need-A-Stack (a.k.a. Bob Nastanovich of Pavement/Silver Jews) and Synth/R&B Gaze band Ancient Posse. Brian Clark of Brian Clark Music will emcee. Congrats to our 2018 Honorees! Two types of tickets are available this year, each with its own awesome perks! VIP admission includes all perks of the All-Access pass above + a T-shirt printed on-site by ArtForce Iowa, DMMC swag, and merch from DMMC Music Fellowship bands Foxholes and Pink Neighbor! Tickets are available for purchase online or at Mars Cafe (University and East Village locations). Children 11 & younger are free!